Miriam Lieber is an independent consultant and trainer specializing in operations management and compliance for homecare providers. Her extensive experience with Medicare and other third-party payers has brought her national recognition in the homecare industry. With more than 25 years of experience in the homecare field, Miriam is a featured author of many articles in the areas of operations and accounts receivable management, pending regulations and compliance. Additionally, she is a nationally known speaker for many homecare trade associations. In her consulting practice, Ms. Lieber's clientele includes pharmacies, home healthcare companies, Medicare and other third-party payers, investment firms, hospitals, and manufacturers. She has worked with more than 350 homecare providers. Lieber is known to have practical approaches to complex reimbursement/compliance matters, and assists her clients with the nuts-and-bolts of running a profitable business. 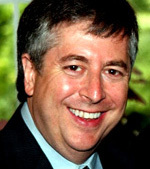 Jonathan Sadock is the managing partner and CEO of Paragon Ventures. He has more than 30 years of entrepreneurial experience in healthcare business development, sales, marketing, and mergers and acquisitions. Jonathan joined Paragon Ventures in 1999 and the firm has successfully completed over 180 transactions in 43 states across the country. In 1979 Jonathan founded PRN - The As Needed Company, a capital equipment rental and asset management services company and a master distributor for MEDIQ, Inc. Jonathan was also the founder of Medtech Biomedical Services Inc., a biomedical equipment maintenance and repair business. Medtech was subsequently merged with PRN and in 1990 the combined companies were sold to Kinetic Concepts, Inc. (KCI), an international healthcare company. The merged companies were then sold to MEDIQ, Inc. in 1994. Today, the business resides within Hill-Rom, formerly a Hillenbrand Industries company. Jonathan also co-founded Associated Resource Management Services, LLC (ARMS), an asset management firm serving hospitals, nursing homes and home healthcare providers. Jonathan is a member of the American Marketing Association, American College of Healthcare Executives, the Association for the Advancement of Medical Instrumentation and the Healthcare Information Management Systems Society. Jonathan frequently writes articles for healthcare trade journals and newsletters, and presents seminars on asset management, business development, and mergers and acquisitions. 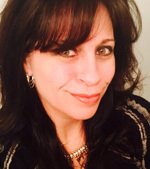 Lisa Wells is a veteran of online marketing and e-commerce, with 20-plus years of experience in public relations, marketing communications and web-based product management at medical device, medical supply and health technology companies. As Vice President of Marketing for Cure Medical, Wells leads the strategic marketing responsibility for the business to ensure the Cure Medical brand strategy is translated into promotional execution. Her key focus areas are: brand strategy/planning, community relations, digital marketing, clinical and sales partner communication programs, and direct-to-consumer marketing. 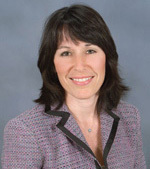 Before her tenure at Cure Medical, Wells was the president of Get Social Consulting, a medical device marketing consultancy that advised healthcare providers across three continents on ways to connect with their customers through digital marketing and social media. She has also created two well-regarded social media communities for wheelchair users: Life After Spinal Cord Injury and Wheel:Life. Wells sold Wheel:Life in 2016 to Comfort Medical, and the community is now part of Coloplast, after they purchased Comfort Medical. A regular contributor to HME News, Wells has authored four books for the disability and home care industry. Continually giving back to the industry, she also mentors HME marketing professionals and teaches at healthcare and disability conferences nationwide. "This award is truly a testament to our amazing team members and underlines the high standards to which we strive. We are proud to serve and represent our community and our industry positively and with heart. Thank you for this recognition. It means a great deal to each and every one of us at Active Healthcare." HME News delivers vital news from: HME Providers, Rehab, RX & Specialty Providers and Vendors in print, online and face to face. You can also find Special Reports, Product Focuses, Q&As, News Polls and the Databank. We report unbiased information, providing a vital resource that gives insight to the industry like no other. Visit our website to sign up for FREE print and emedia subscriptions. The HME Summit combines top-notch education with dynamic networking opportunities, creating the perfect environment for HME business leaders to form partnerships, find solutions and strategize for success. Entering its 15th year, the Summit continues to attract the best thought leaders and decision makers in the industry. The HME Databank has the data you need to grow your business. Determine your market share and track competitors with the most comprehensive database of Medicare statistics available. An annual subscription gets you unlimited access to all data with the ability to download in Excel and PDF formats.